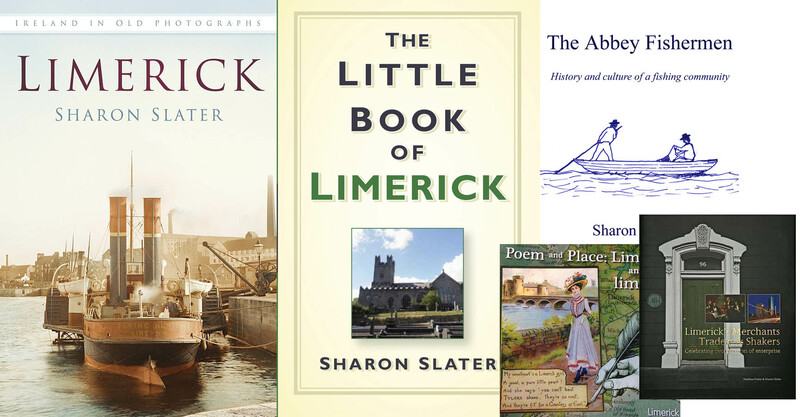 The Grand Prix Races of the 1930s in Limerick. The 1930s saw Limerick city centre filled with high speed cars from all over the world as it opened its streets to a series of Grand Prix races. 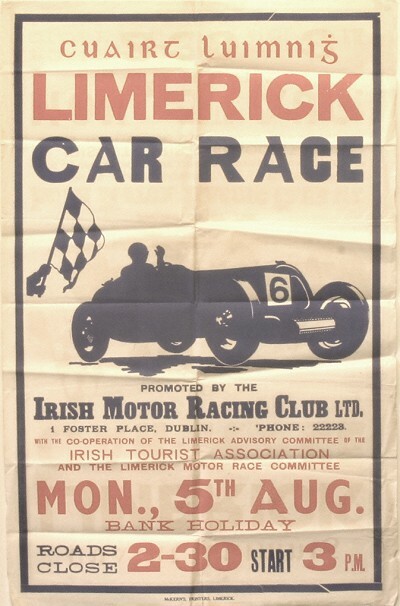 The Limerick Grand Prix Races ran on the streets of Limerick, Ireland, between 1935–1938 (except 1937). The first race, in 1935, was known as “Round the Houses” and the route ran 2.76 miles (4.44 km). The route was from William Street to Roxboro Road through Carey’s Road. It continued to Rosbrien Road through Punches Cross, O’Connell Avenue and back down O’Connell Street. The first place was taken by Luis Fontes who was driving an Alfa Romeo. The following pamphlet courtesy of Reg Morrow. It shows a map of the entire 1935 route, as well as the local sponsors and a leader board pull out. The Round the Houses Grand Prix of 1935 was filmed by British Pathe. John Fitzroy, the 9th Duke of Grafton, was killed in the 1936 Grand Prix race while driving a Bugatti. The winner of this race was Alan Hutchinson in an MG. The following is the 1936 event program. The 1936 Grand Prix race was filmed by British Pathe. This film also shows some familiar scenes around the city. The last Grand Prix of this era in 1938 and the winner was J McClure driving an MG car. In 2010 and 2011 the Limerick Classic and Vintage Car Club ran events to commemorate these races and many of the cars that took part in the original races participated, including the 1936 race winning MG. The cars drove around the original circuit, including going the wrong way down O’Connell St. The Club erected a plaque in Pery Square where the scrutineering took place. A book was also produced, (with help from the IMRC).